Back in February, Marvel finally made the announcement fans have been waiting years to hear, that Spider-Man is finally joining the Marvel Cinematic Universe. Under the terms of this deal, the new Spidey will first appear in a Marvel movie, confirmed to be Captain America: Civil War, before Marvel's Kevin Feige Sony's Amy Pascal team up to produce a Spider-Man reboot through Sony Pictures, set for release on July 28, 2017. It's been long believed that the new Spidey, Tom Holland, will only have a cameo in Captain America: Civil War, but Kevin Feige revealed during a Q&A session (via IGN) that the studio has much greater plans in store for the web slinger. "Making that agreement ... was great, and was really amazing, and on a personal level making these movies, it means a lot because I think we can do great things with Spider-Man. I think Spider-Man can serve great purpose in our universe and that's where he belongs. That was what was unique about him in the comics was not that he was the only superhero in the world; it's that he was a totally different kind of superhero when compared against all the other ones in the Marvel universe at the time." Long before the deal was announced, rumors swirled that Marvel was trying to acquire the Spider-Man rights, after Sony's failed reboot attempt with The Amazing Spider-Man and The Amazing Spider-Man 2. Instead of acquiring the character rights in full, a deal was struck that allowed Marvel to use Spider-Man in their movies, while Sony would retain distribution rights for the new reboot and future stand alone Spider-Man projects. When asked about how the web slinger would be incorporated into the MCU so late in the game, Kevin Feige revealed they always had a plan in place, should they get the rights to this beloved character, while stressing that their main focus for Spider-Man is the new stand alone movie. "This has been a dream of ours for a long time. We always had contingency plans, which we always do anyway. Are we going to be able to make another deal with this actor? If so, we're going to do this; if not, we're going to do this. If we get the rights to a certain character, that's great; we're going to do this. If not, we're going to do this. We always sort of operate under those various alternate timelines available and ready to shift if something happens. The most important thing as a standalone is relaunching Spider-Man in his own standalone movie with his own storylines that fits into this universe. That is job number one for us. The connectivity is great, but it doesn't drive the train." Even before the inclusion of Spider-Man, Captain America: Civil War was already shaping up to be a massive affair. When production started in May, the studio released an official cast list, which was even bigger than most fans' expectations. Along with almost all of the Avengers, old and new, except for Thor (Chris Hemsworth) and Hulk (Mark Ruffalo), this adventure will include Paul Rudd as Ant-Man, Chadwick Boseman as T'Challa/Black Panther, Emily VanCamp as Sharon Carter/Agent 13, Daniel Brühl as Baron Zemo, Frank Grillo as Brock Rumlow/Crossbones, William Hurt as General Thaddeus "Thunderbolt" Ross and Martin Freeman in an unidentified role. Despite this massive cast, Kevin Feige revealed that Captain America: Civil War is, in essence, a "simple" story that manages to give each character enough to do. "There were a lot of characters in The Winter Soldier, but it felt like a very singular and relatively simple thriller. Civil War follows in that same way. I think that's something [directors Joe and Anthony Russo] pride themselves on, and our screenwriters Chris Markus and Steve McFeely are excellent at giving each character just enough. They're not full arcs for everybody; it's just enough that their presence is felt and important, but that the very clear single story that is being told is being served at all times." 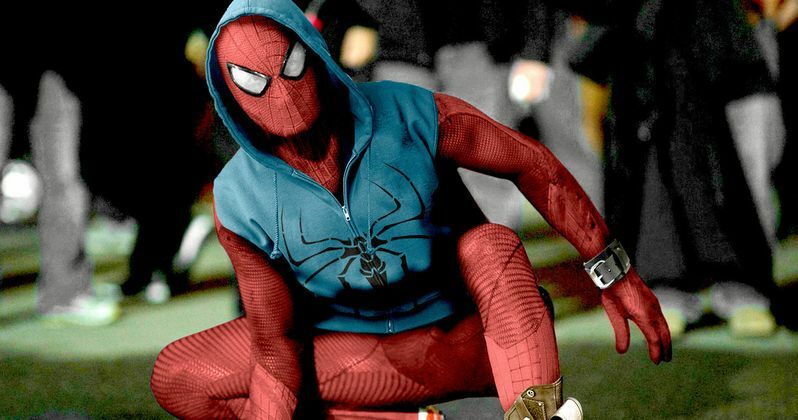 What do you think Marvel may be planning for Spider-Man in the MCU? The stand alone reboot is slated for release in July 2017, which means the character could be established enough to join Earth's Mightiest Heroes again in Avengers: Infinity War Part I and Avengers: Infinity War - Part II, hitting theaters in 2018 and 2019, respectively. We won't find out for sure if Spider-Man will be a part of this two-part adventure for quite some time, so stay tuned for more details.